The first round of small grants as part of the Rugby League World Cup 2021 legacy initiative have been released. Grants have been awarded to Aspatria Hornets, Cardinal Newman Catholic High School, Castleford Tigers Women, Drighlington ARLFC, Golborne High School, South Leeds Spartans ARLFC and Wigan St Judes, for a range of things including a new lawn mower, equipment, kit and improving facilities. Applications for grants have been open since October 2018, with a total of £10 million available for local clubs and community projects to create a positive impact. £9 million will be allocated to large-scale requests costing more than £15,000, with the remaining £1 million being granted to smaller-scale projects. 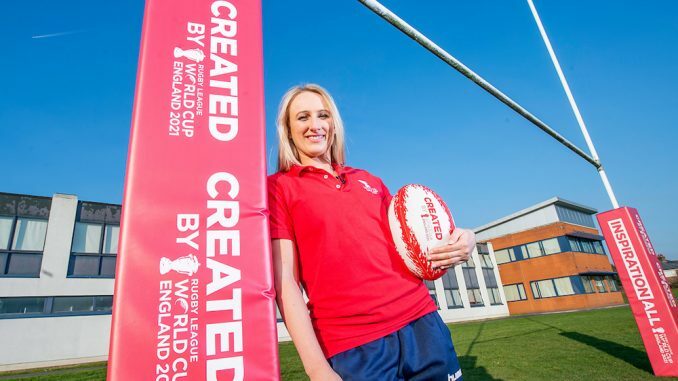 The government investment, delivered in partnership with the RFL and Sport England, is part of RLWC2021’s ambitious plan to leave a lasting legacy. The AERL has qualified eight new coaches from the Andalusian region after a successful level one course at Lupión City Hall In the Jaén region, ahead of the new domestic season which launches in April. The Spanish national competition will begin with two conferences, in Levante (Valencian Region) and South (Andalucía) with a minimum of four teams in each. The AERL is working to launch a similar conference in Madrid.